Marine Expert is the leader for pleasure craft insurance in Canada. Our mission is to provide customized insurance products to pleasure boat owners and to offer insurance solutions to commercial marine businesses of the watercraft industry. 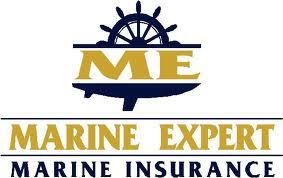 Marine Expert is a “wholesaler” distributing its products through accredited insurance brokers. With over 10 years of experience in the marine insurance industry, Marine Expert has earned its reputation due to the quality of its products, competitive prices and efficient claims service. Marine Expert prides itself on its expertise and devoted staff for our customers. Committed to the marine insurance market, we continually keep up with the changes that occur in the watercraft industry so that we offer you the best insurance products that will give you peace of mind. Go to our Boat Insurance Express Quote to get a price and submit your information so that one of our representatives can communicate with you and explain the advantages there are to be insured by a Marine Expert boat insurance policy.